After attending the “Taipei International Machine Tool Show” in March, the company will be present at Singapore´s most important trade show in April. Lantek, world leader in the development and sale of CAD/CAM/MES/ERP software for the metal and metal structures industry, participates in the main industry and machine tools trade shows in Southeast Asia. More specifically, it had a booth at the "Taipei International Machine Tool Show” (TIMTOS 2015) held in Taiwan from March 3rd through 8th. On April 14 – 17, the multinational will also attend the twentieth annual MTA (“The Precision Engineering Industry Event”) held in Singapore. Lantek´s sales director, Joseba Pagaldai, explains: "At both events, the company´s Southeast Asia manager, Andoni Albizu, mans the booth to interact directly and candidly with clients and distributors from this region of the world. 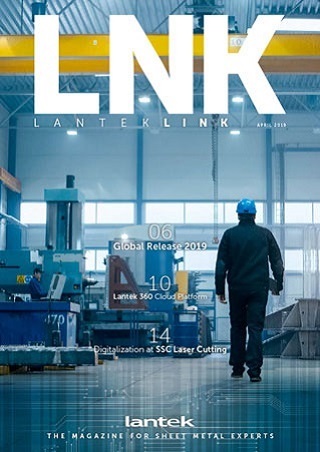 In this way, we learn about the needs and demands of that market firsthand so that Lantek can adapt, offering solutions to the sheet, pipe, and profile sectors." Coincidentally, revenues from the Asian market will show the highest growth in the company, at 27%, reaching the amount of 295,000 euros. For that reason, Pagaldai underscores the importance of Lantek´s presence at the MTA 2015 in Singapore, where the new version of Lantek´s solutions will be presented to all visitors to our booth. The trade show will receive more than 9,500 visitors and some 400 exhibitors from more than 30 countries, according to its own estimates. Lantek takes advantage of its presence at this event to present its technological software solutions for companies. It views the companies that attend this trade show as potential clients, as they are associated with metal components and manufactured goods, as well as the aerospace, automotive, construction, medical, and energy industries, among others. "This is a unique opportunity to expand our client portfolio and strengthen our presence in the Asian market," Pagaldai remarks. The company from Alava, Spain also had the opportunity to offer its software at the Taipei trade show, held every two years at the beginning of March. Of its 47,000 visitors, 40,000 were Chinese and the rest from other Southeast Asian countries such as Japan and Malaysia. A total of 1,015 exhibitors participated in TIMTOS, an event that receives the undivided attention of the region´s machine tool community. The trade show is an essential event for Lantek: here the most advanced technology meets a market in which innovation is the secret to success. For Lantek, as its sales director emphasizes, attending the fifth largest machine tools trade show in the world and the second largest in Asia is a great business opportunity.